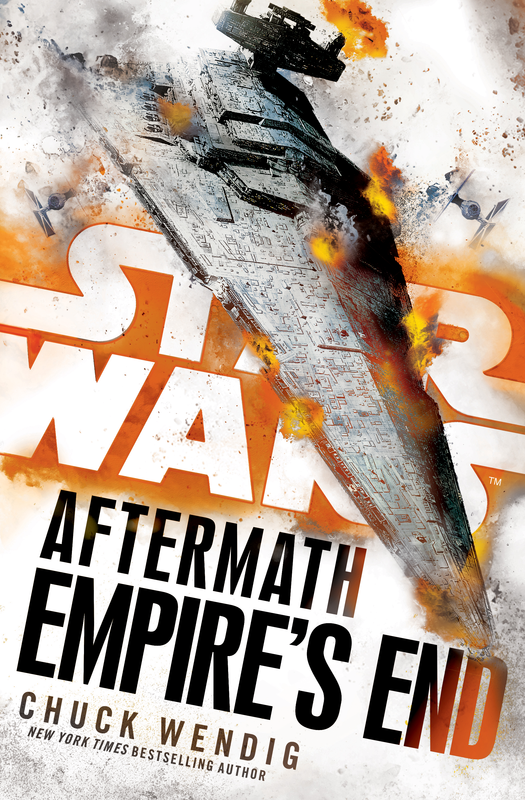 There was much to like about the idea of seeing where the Star Wars saga would go in this new line of official books picking up shortly after the destruction of the second Death Star. Chuck Wendig’s trilogy touches on issues throughout the larger galaxy as it adjusts to the crumbling Empire and the opportunities and challenges that result. The trilogy succeeds in giving us some satisfying developments in the birth of a New Republic and what that might look like. There are great interludes to show different parts of the galaxy, my favorite of which is the fight against slave trafficking on Tatooine with some Wild West action involving Sandpeople for the win! The conclusion to the trilogy, though strong with some of Star Wars’ best action and fun new characters, turns out to be the weakest link in the story. It often feels like a slog, with little or no movement in the narrative as we approach the climax. We’re teased with a big buildup to the Empire’s so-called contingency plan that Emperor Palpatine himself supposedly orchestrated before his death as a failsafe should the unthinkable happen at Endor. There are even creepy robots with Palpatine’s face on them that are supposed to evoke the long end-game the emperor had thought up. But it serves more as a quick bookend to a story that doesn’t really know how it wants to end. Wendig is strongest when he’s placing the ensemble cast in the middle of the fight and focusing on the core cast. “Look after mom Bones!” was her son Temmin’s last command to his trusty hacked battle droid when Nora made a daring gambit to plummet toward the Empire’s last stronghold in an escape pod right before her son’s ship takes off into hyperspace. I actually get a lump in my throat thinking of this family’s courage to run headfirst into the fray at the cost of losing the last people in the galaxy they care about. Jaz doesn’t disappoint either with her painful escape from some fellow bounty hunters and her confrontation with an old friend that shows what a complex character she is. Loved it. Other characters that stand out are a republic ship captain taking on the super star destroyer and showing some amazing military strategy. This scene not only checks the block in giving us a memorable space fight, there’s also real emotional weight that shows the cost of war. And no Star Wars book would be complete without a Hutt. Nema is a mean and crafty snakelike Hutt, nearly unkillable and has an entourage of scary knife-wielding servants. I’d love to see her on the silver screen. Ultimately the story suffers from trying to tie up too many loose ends. It feels saddle bagged by the weight of having to bridge the story to the Force Awakens and in doing so scenes rush by blindingly fast, doing a great disservice to this story in an attempt to service the next one, which we’ve already seen. All the major build-up between Sloan, Nora, and Rax literally fizzles out. It’s a strange truncated ending. We rush to get obligatory status updates on every character (minor and major) and I end up forgetting who is doing what at the end. But by and large, I enjoyed this journey, and we are left with a sense that there are many brave men and women who will continue to fight for what is right and just in this galaxy far, far away.